According to the fishermen, the current quality of the premix fuel sold to them is poor because it destroys their outboard motors, a situation that is making life unbearable for them. The fishermen are also asking the NPA to explain why they should buy premix fuel at an exorbitant price, contrary to what has been agreed. 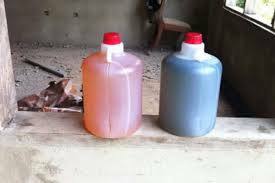 At a news conference held at Elmina on Tuesday, spokesperson for the fishermen, Maanoma Quayson said, the colour of the premix fuel is no longer safe for their business and the earlier it is reverted to the blue colour that is laced with oil, the better it will be for the industry. “On the 21st of February, the President made many pronouncements about the fishing industry in Parliament. After the pronouncement, our plight has worsened; the colour of the premix fuel has since changed from the blue colour and to a colour unknown to us. Moreso, there is no oil in it,” he explained. 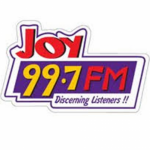 Maanoma Quayson explains that the change in the colour and the absence of the oil in the premix fuel is affecting their business and want answers from the government. “The new premix fuel is destroying our outboard motors. We don’t know whose idea it is for the premix fuel to be changed this way,” he queried. The fishermen also raised issues with the increase in the price of the fuel without their knowledge. “We hardly get premix fuel for our businesses these days and the little that comes, are sold to us at an expensive price. We want the NPA to explain to us why we have to pay for 5 gallons when in actual fact we are given 4 gallons,” Mr Quayson demanded on behalf of the fisherfolks.